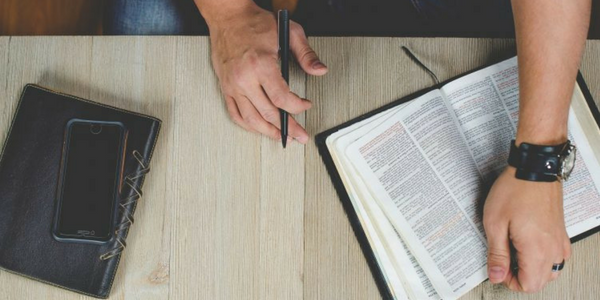 We all love resources to help us get the job done and these 39 apps for preachers will be sure to help us all get the job done more efficiently and effectively. Every week you work to prepare a home run sermon while juggling the other demands of a pastor, which often keep you on the go. If you struggle to find time to sit down and prepare an entire sermon, this list of apps for preachers will transform the way you write your sermons. We did the research on a wide range of mobile apps and narrowed them down to the top 39 essential mobile apps for preaching that you can turn to whenever and wherever you are inspired to study, research, and write your sermons. From Bible study apps to lexicons to writing tools, we’ve covered the gamut of preaching and sermon writing apps for both experienced and novice preachers. Most pastors own more than one Bible. In fact, they probably own many different translations. Therefore, why not use more than one Bible app? In our research, we found that while many Bible apps are similar, they are not created the same. Many have unique features that help them stand out above the rest. That is why we have listed 22 different Bible apps that you should consider adding to your digital library. Probably one of the best known Bible apps available, this app from Life.Church offers 1000+ Bible translations in English and many other languages so you’re certain to find the right version of the Bible for your sermon study. In addition, the Events feature allows you to share your sermon notes and scripture references so your church can follow along with your sermon on their own mobile devices. There is even an option for them to write and save their own notes so they can refer back to your sermon at a later time. In addition to reading the Bible, commentaries, dictionaries, and more, the Logos Bible app has free access to Logos 7 Basic, which includes over 20,000 books. This allows you to study with their in-depth tools and prepare your sermon on your phone or tablet. This is definitely a portable library! Our research showed that the Olive Tree Bible Bundle is one of the most comprehensive Bible apps available, with interlinear Bible study options, commentaries, dictionaries, original Greek and Hebrew versions, maps, customizable parallel reading option, among many other study options. Even with a higher price tag than most apps, we recommend this Bible app from Zondervan that could almost replace your hard-copy Bibles, books or and computer for sermon study. This app from Grace to You features 3 versions of the Bible (ESV, NAS, and KJV). In addition, the Study Bible App is rich in insight with 25,000 detailed comments and sermons from John MacArthur to explain nearly every passage of the Bible and give you a fresh perspective. Bible.is app is promoted as “Dramatized Audio Bibles,” which can be helpful for pastors in numerous ways. This app is perfect for auditory learners as you can listen to passages of scriptures in preparation for your sermon when you’re in the car, working out, or simply in your office with your eyes closed. This Bible app has a few features that help it stand out for in-depth scripture study such as a blue lined version of scripture, original language lexicons for Hebrew and Greek, the Treasury of Scripture Knowledge, plus a note-taking function that can be organized into notebooks. Create notebooks for each week of the year to store your notes as you study for each sermon. With a clever name, the And Bible is only available on Android devices. It’s an offline Bible that is powered by CrossWire Bible Society’s SWORD Project. It includes 40 English language Bibles and bills itself as “one of the fastest Bible apps on Android.” If you’re an Android user, definitely check this out to help with efficient scripture study on the go. Do you miss the feel, function, and aesthetic of a hard copy Bible when using a digital version? This is the perfect app for you! Our research found the Tecarta Bible app to be the most reflective of a hard copy Bible in the way the words and chapters are designed, how pages turn, and the ability to make margin notes. It comes free with King James Version and has a number of other translations available for in-app purchase. Plus find a wealth of resources with commentaries, study Bibles, and a parallel reading mode. This Bible is part of the Tecarta network, but it is so special that it deserves its own mention in our list of apps for preaching. It does come with a hefty price tag in terms of mobile apps, but that’s because it provides a study system designed specifically for pastors and biblical scholars. In addition to the NKJV tranlation, it contains 15,000 verse-by-verse study notes, information on biblical culture, articles on key doctrines, word study with Strong’s numbers, a topical index, maps, and the Deluxe Nelson concordance. This single app will allow you to carry an entire sermon study library with you wherever you go! Yet another app from Tecarta, this is unique Bible is geared towards leaders and incorporates John Maxwell’s wealth of leadership principles and teachings as it relates to God’s Word. With all the functions that come with a traditional Tecarta Bible app, this is a great choice for pastors looking to teach about leadership and find principles to encourage their own church leadership team. There is a reason why they say a story is worth a thousand words. Sometimes you may need a version of scripture other than the traditional translations to help you see God’s Word in a new perspective. The Voice Bible app can help! This app recounts scripture through storytelling with the original passion, humor, grit, and beauty that can get lost in technical Bible translation process. It does hold true to original manuscripts, so it may even be a great way version to share with your church during your sermons to paint a picture of scripture references. Delve deep into the original ancient text with this app that includes Greek, Hebrew, and Aramaic words from every chapter of the Bible. With this word study specific version of God’s Word, you’ll be able to focus in on the meaning as it was originally written without the distractions of other study helps. This popular study Bible gives behind-the-scenes details that will teach you about customs and culture of biblical times. Use this app to investigate scripture and craft portions of your sermon to help our church relate to the characters, events, and locations throughout scripture. For users of WORDsearch from LifeWay, this app will not only give you access to the Bible with cross-referencing tools, but it also will integrate any WORDsearch books you’ve purchased right in-app. For pastors and teachers that turn to WORDsearch on their desktops, this is a great app to have when you have time to study for your sermons but don’t have access to your laptop. This app from Crossway comes with the ESV Global Study Bible and includes many of the standard features we found in most Bible apps. It is a standout to us because it is one of the prettiest apps we used. The text feels formal in the way a good book does, and the features and icons are designed with a clean aesthetic that will be easy on your eyes as you study scripture. If you’re a visual learner, the Glo Bible app is for you. The free version of the app comes with the English Standard Version, but with an upgrade to a monthly subscription, you also get access to tons of media content like virtual tours, photos, works of art, maps, and an interactive documentary on the life of Jesus. This app has so much to offer if you’re looking to step into scripture to find a fresh perspective on biblical times. We found this app to be unique because of the in-depth note-taking abilities it offers. Most Bible apps provide basic note-taking functionality, but the Inductive Study Bible takes it to another level. Mark words with images, highlights, or italics much like you would with a hard copy Bible. Also, you can group verses together in themes, which is a helpful resource when studying scripture references for each sermon. The Accordance Bible Software offers 100s of powerful study tools to pastors and biblical scholars for doing exegesis, whether on a Mac, iPhone, or iPad. What makes this app interesting for pastors is its cross-device syncing for your own notes and highlights throughout the app, making it easy to use no matter where you are. If you’re an Accordance subscriber, this app is essential for you. The Lumina Bible Study app comes with the New English Translation presented in a book format without chapter boundaries, which we find helpful to reading scripture more as a narrative rather than individual chapters. Plus, access 60,000+ notes from the translators, Strong’s tagging, and word study with the original languages. It’s a nice way to dig into scripture using a different translation than most Bible apps offer. This app was made with parallel Bible study in mind! The parallel versions scroll together, requiring as little eye movement as possible, and they include a lexicon feature that lets you tap a word to view phonetics, part of speech, and translation tips. Plus, take notes within the app and share them with your church to help them study scripture in preparation for your Sunday sermon. Bible Gateway provides something for everyone in their app that is built for Bible reading. It comes with over 90 Bible translations, offline search, parallel translation on iPads, and a feature that allows you to star important verses. In addition, the app has commentaries, dictionaries, and many other Bible study tools to make reading and studying scripture for your sermons on the go a piece of cake. The Bible Study Tools app is from the largest online library of study Bible versions. In addition to almost any Bible version you could ever need, you’ll find commentaries, dictionaries, lexicons, encyclopedias, concordances, historical facts, and sample sermons. We’re having a hard time thinking of anything else you would need to study for a sermon on the go that isn’t included in this one app! You may be wondering, after so many Bible apps that include study tools, why do you need a stand alone Bible dictionary, concordance, or reference app. There is a very good reason – most Bible apps include just a few of these resources, so we found a few comprehensive apps for Bible study on the go. Here are a few that topped our list of essential apps. This app gives the full Strong’s Dictionary of Greek and Hebrew at your fingertips, where ever you go. At over 2,400 pages, the hard copy of Strong’s dictionary would be a challenge to have in your mobile library. But, this app on your phone or tablet will allow you to search or browse using a Greek or Hebrew table of contents. With the ability to find the meaning of any word in the Bible, we find this little app worth the price tag. In addition to being a reference for definitions of biblical terms, the Oxford Dictionary of the Bible includes numerous other informational resources such as detailed chronology of important dates, historical maps, and conversion tables of measurements. This app will help any Bible scholar gain a modern-day understanding of the language, locations, and figures found in scripture. Do you preach from the King James Version and occasionally have words that don’t translate to modern English? Every word is important to understanding the full meaning of scripture, and the KJV Bible Dictionary app will help you find the modern meaning of over 6,000 words found in the KJV. Locations throughout the Bible play a big part in telling the narrative of scripture. The Bible Maps Plus will help you be knowledgeable about the places of biblical times with 86 full-color maps, 13 timelines, and location search so you can teach your church through sermons about the importance of specific locations. Do you have a great Bible app but only want to view the KJV with Strong’s Concordance? This app does exactly that, with one Bible translation (KJV) and Strong’s Concordance so you can gain a more technical understanding of scripture. It shows how words are translated in other verses and utilizes English, Greek, and Hebrew dictionaries. Try a sample before buying with a demo of Genesis and Matthew. Word study is diving deep into scripture and is so important to sermon preparation. Getting into the original text sets you up with an understanding of the Bible that will help you communicate the meaning of scripture in a valuable way. Here are a few apps that will help you learn biblical Greek and Hebrew and study them where ever you are. Are you ready to learn biblical Greek? Do you need a refresher from your seminary days? This app presents 1,000 of the most common words in the Greek New Testament, based on vocabulary cards. Feel like you’re going back to school as you learn how to do word study on the New Testament in preparation for your sermons. The Interlinear Greek Bible from ScriptureDirect lets you interact with the Greek text of the New Testament by browsing all the possible meaning of the words. Simply tap any word to view the meaning of it in Greek. This is a great tool for preachers who have not mastered biblical Greek as it does not require the ability to read or pronounce Greek. As a pastor, you may wonder why we are calling out scripture memory apps. You probably have committed a number of passages of the Bible to memory already, but there are moments when preaching or teaching when a verse may come to mind and you can’t remember it in full. Or, you may want to preach from memory, so having your scripture references memorized will help you get a head start. Here are a few apps you can use on your phone or tablet. We like this scripture memory app for its appealing design and memorization methods. The Verses app helps you absorb the words of scripture so you’ll remember them better. Plus, be encouraged as you track your progress over time. This app has something for everyone, no matter your learning style. With 4 memorization methods, you’ll find something that works for you. It will even help you learn entire chapters by breaking down the text in the manageable sections. We’re fans of this useful app from the American Bible Society. Studying scripture is only a portion of preparing to preach. Once you’ve studied your sermon topic, it’s time to write and preach. 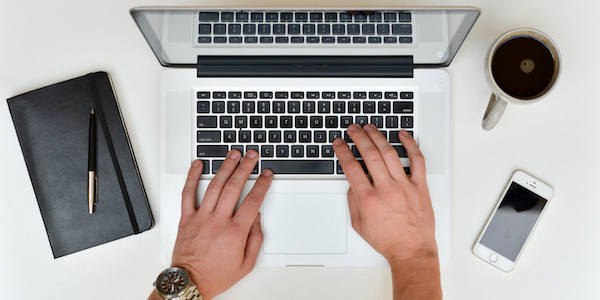 Here are some of the trending apps to help you get to the final product of your sermons. We’ve seen a ton of recommendations for this app from pastors who say it’s essential to their weekly sermon planning. It’s no wonder with the visually appealing interface that records all kinds of things about each journal entry, such as location, time, date, weather, your activity, and even what music is playing. Whenever you feel inspired or have a quick thought for your upcoming sermons, grab your phone or tablet and write it down in this useful journal app. Once you’ve studied for your sermon, you have a bunch of thoughts swimming around in your head. SimpleMind lets you take those thoughts and organize them into a cohesive sermon using mind mapping. Its flexible features will help you visualize all the components of your sermon so you can create an outline for a powerful and focused message. If you’re not familiar with Biblearc, it is a process for studying scripture using a graphical method. This app is a companion to the desktop Bible study background, which sync with each other, so you can view your notes and Biblearc’s suite of resources on your phone or tablet. This is a must-have app for Biblearc subscribers! Evernote is one of the most loved apps by our team because of its usability, flexibility, and syncing capabilities across multiple devices. This note-taking app can be used by so much more than sermon prep (it will keep you organized! ), but it is especially helpful as you prepare to preach to organize notes, write your outline, share notes with others for feedback, and craft presentations. Plus, once your outline is complete, export it as a pdf to use on your iPad as you preach so no changes are made accidentally in the middle of your message. After a great Bible app, Evernote should be the next app you download. If you like the feel of a pen in your hand when you write but want to keep your notes in a digital format, download Penultimate now. This app from Evernote brings handwriting to a digital form so you can jot notes or outlines on your iPad with a stylus to sync with your Evernote app. Paper brings together notes, photos, and sketches all in one place. In their own words, “Paper is like a wall of sticky notes for everything that inspires you.” Compile all your random thoughts into digital sticky notes and take organization for your sermons up a notch. Plus, the app has sharing capabilities with Keynote and Powerpoint so you can share your notes in a presentation. Most of the apps we’ve covered are for phones and tablets, but we did find a couple of great options if you’re into wearables. While the functionality of apps for wearables, in general, are lighter than their phone and tablet counterparts, there are a few especially useful reasons to download these apps. The Bible app from Olive Tree brings some of the basic reading functions from the iPhone and iPad app to Apple Watch. This app is primarily for reading, but in addition, you can also access multiple translations including the English Standard Version with Strong’s Numbers right on your wrist, letting you read and study scripture on the go. Another Bible app for wearables, YouVersion syncs with your other devices so you can view the scriptures you have highlighted and bookmarked and pick back up on reading and studying where you left off on your phone or tablet. And that’s our full list of mobile apps that will help you read, study, write and preach every week, no matter where you are or when you are inspired. With this many incredible apps to help you, your biggest problem might be freeing up space on your phone and tablet to download them all! Did we miss an app that is crucial to your sermon preparation? Let us know! Are you planning on giving your church’s media and communications ministries a new start in 2017? 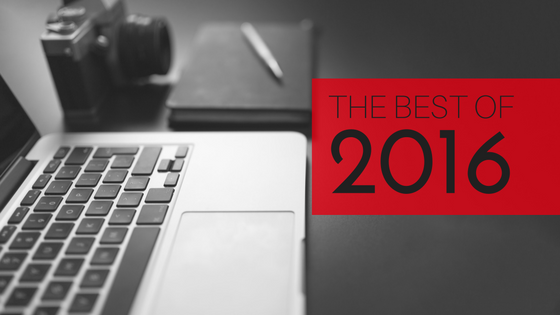 Kickstart the year with some of 2016’s best tips and ideas on church social media, communications, media, and software with the top posts from our blog. We are always looking for the latest and greatest ideas to help churches communicate better, but some ideas work no matter when you try them. We covered topics from picking and learning to set up worship presentation software to ideas for worship & youth ministry to marketing events and using social media. Get inspired to communicate better with your community in the coming year with these ideas! There are tons of options for worship presentation software, but what is the best one for your media team? We can all agree that PowerPoint, while the pioneer in presentation software, is now a cumbersome tool when displaying worship graphics. There are many other options that now exist that give you more flexibility when the worship team starts singing a different verse than originally planned and allows you to do some pretty amazing things with graphics and video. This infographic gives you all the details you need to choose the right option for your team. ProPresenter 6 has been out for awhile but it’s still has tons of features that will make your media look amazing every Sunday. Check out this article for a review of features you may need a refresher on and features that you may have missed. Do you use EasyWorship at your church? Here are some hacks to help you get the most out of the software or help you decide if EasyWorship is right for your team. Here is a list of the classics – the original songs that took worship music to where it is today. Chances are it’s been years since you’ve heard these worship songs or sang them in your church. But take a few minutes to listen to them again in a new way. Their lyrics are no less powerful today than when they were released. Teenagers love to have fun with their friends. They’ll get excited about sharing the best selfie on Snapchat. But do you have a hard time getting them to rise to that same level of excitement about worship? Here are some tips to get the youth in your church engaged and excited to worship. 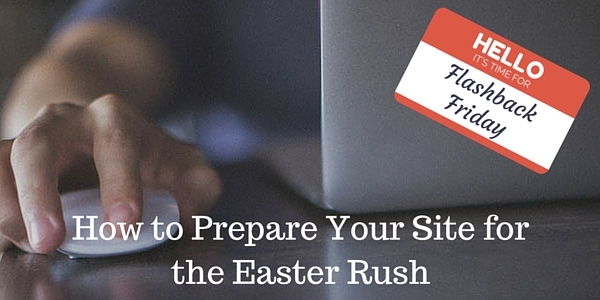 Getting your church to attend events outside of Sunday morning services can be challenging. Here are some mistakes you may be making that’s keeping them away. Read this post to learn how to overcome these mistakes and have record attendance at your special events. No one likes change. And as a church leader, you probably know that making changes in a church is often met with resistance. But sometimes change is good and challenges us. Learn how to overcome these challenges with lessons from giants like Instagram and Uber. Email has been around for awhile. As a form of communication these days, it’s almost like a dinosaur. It seems that every few month there is a new social network that is advertised as the one that will take over email. While there are a few social networks that are trying to take over the world (I’m looking at you Facebook), email is still holding strong as a primary source of communication. Think about how many emails you receive in your inbox any given day and tell me you don’t agree! 1) Ask for email addresses on your website: Visitors and your current church attenders will visit your website from time to time, so it’s a great place to ask them for their email address. Place a widget on your homepage letting them know you’d like to send them emails about upcoming church events and sermon series if they’s provide their email address. This is super easy with WordPress or other common CMS-based sites with plugins that will allow you to place an email collection form on your website. If you use MailChimp to send email, they even have their own plugin for WordPress. Awesome! 2) Ask for email addresses in your program or bulletin: Do you request an information form from visitors to your church? Then you have a prime way to get their email address. Simply note on the form that you’ll be adding their email address to your email list so they aren’t surprised when the start seeing your church’s name in their inbox. 3) Ask for email addresses from the stage: If your email list is small but you have a large church, you have lots of work to do. But, there is one place where you can ask for email addresses from almost your whole church at once – from the stage on Sunday morning. Make an announcement that you’re stepping up your email game and you’d love to get their email addresses. Either provide a paper form for them or they can visit your website from a phone right in their seats at church. These ideas are just a start. You know your congregation well, and you can come up with tons of other creative ways to collect more email addresses. Now go forth and email! Fridays are great! A solid weeks worth of work has been accomplished, and a well deserved weekend of rest is just about here. That also means it’s time for flashback Friday (#fbf)! Today I was thinking about Easter and how it is going to be here before we know it. No no. It really will! Just you watch. So are we prepared? Is our church ready? Well I found a great article focusing us in on the importance of our website as it relates to encouraging people to attend your service. Check it out. It’s a good one!